The Royals will be represented by two players at this year’s All-Star game at Citi Field in New York. 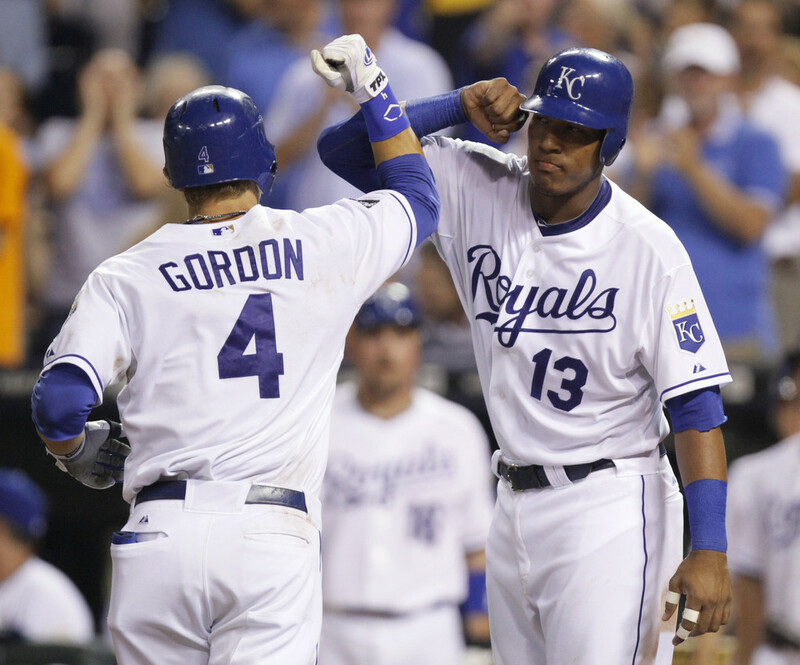 Left fielder Alex Gordon and catcher Salvador Perez were elected by their fellow players as All-Star reserves. This will be the first All-Star roster appearance for both Royals. Gordon and Perez are in the midst of very solid and productive seasons, both at the plate and in the field. Offensively, Alex Gordon is currently 3rd among qualifying AL left fielders in batting average (.293) , OBP (.359), and OPS (.794), 2nd in hits (95), 4th in RBI (47), and 1st in grand slams (2). On the other side of the ball, Gordo has been even better, ranking 1st among AL left fielders in games started (81), total innings (704.2), total chances (160), putouts (152), assists (8), errors (0), and fielding percentage (1.000%). He ranks 2nd among American League left fielders with a 2.5 WAR. Salvador Perez has been just as dependable for Kansas City this season. He ranks 2nd among qualifying AL catchers in batting average (.302), and hits (79), 5th in RBI (36), 7th in doubles (15), and 6th in total bases (110). On defense, Salvy ranks 3rd in games played (71), games started (67), innings (584.2), 5th in total chances (531) and putouts (486), 1st in assists (40) and passed balls (0). He currently ranks 3rd among AL catchers with a WAR of 2.3. While Gordon has been mentioned in All-Star talks for the past few seasons (he was up for the final player vote in 2011), this is new territory for Salvador Perez. 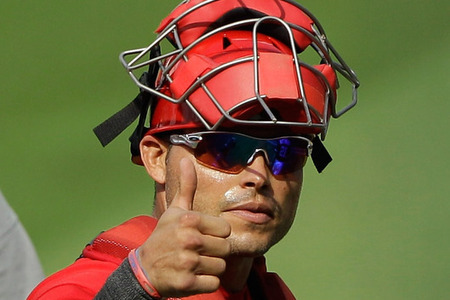 While many scouts and executives around the league believed that Perez would be an All-Star caliber catcher at some point in his career, nobody figured it would be this soon; after all, this is his first full season at the major league level. But he has already proven to everyone around the league that he is one of the more complete catchers in all of baseball. And what is even crazier is that he has so much more time and room to become even better. The 2013 All-Star game will mark the first time the Royals have had two players make the American League roster since 2003 (Mike Sweeney & Mike MacDougal) and the first time the Royals have been represented by two position players in the Mid-Summer Classic since 2000 (Mike Sweeney & Jermaine Dye). The 2013 All-Star game will take place on Tuesday, July 16th at 7 PM CT on FOX. Last night, the Royals wrapped up possibly their most exciting series this season with a second-straight walk-off win. The hero this time was Brayan Pena. With two outs in the bottom of the 9th, down 3-2, and runners on second (Maier) and first (Dyson), Ned Yost opted to sub-in the switch-hitting Pena in place of the right-handed hitting Humberto Quintero to face Milwaukee closer John Axford. The move paid off when Pena hit a long single into left field. Mitch Maier scored easily on the play to tie the score at 3-3. Dyson’s speed allowed him to go first-to-third on the single; that’s when things got exciting. Brayan took a wide turn around first base, leading the cut-off man to throw to Rickie Weeks at second, thinking they could get Pena in a rundown. Seeing that the defense wasn’t paying him much attention, Dyson took off for home plate. Weeks bobbled the ball before firing the ball home, which skipped past Brewers catcher Martin Maldonado. Regardless of the throw, Dyson had the play beat as he dove head-first into home to score the winning run and complete the comeback. Brewers’ closer John Axford was saddled with the loss after allowing the Royals back in the game for the second straight night. 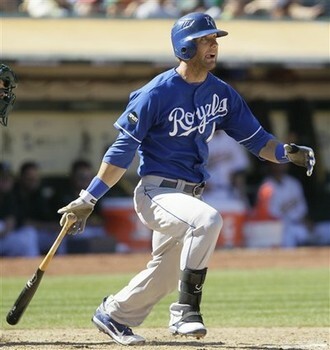 He loaded the bases the previous night before surrendering a walk to Mike Moustakas to end the game. The demotions of Johnny Giavotella and Clint Robinson were fairly easy to forecast. After tearing up Triple A pitching, Gio was unable to replicate his hitting ways. After hitting a meager .217/.260/.261 through 21 games, the team optioned him to Omaha to make room for Chris Getz’s return from the DL. Robinson went 0-for-4 in four pinch-hit appearances with two Ks. Everyone knew that his stay wasn’t going to be a long one. He was optioned back to Triple A Omaha before last night’s game. Coleman was demoted to clear space for Jonathan Sanchez on the active roster. Lou will undoubtedly be back up sometime this summer, as he has a solid 3.15 ERA in 20 innings with the Royals this season. 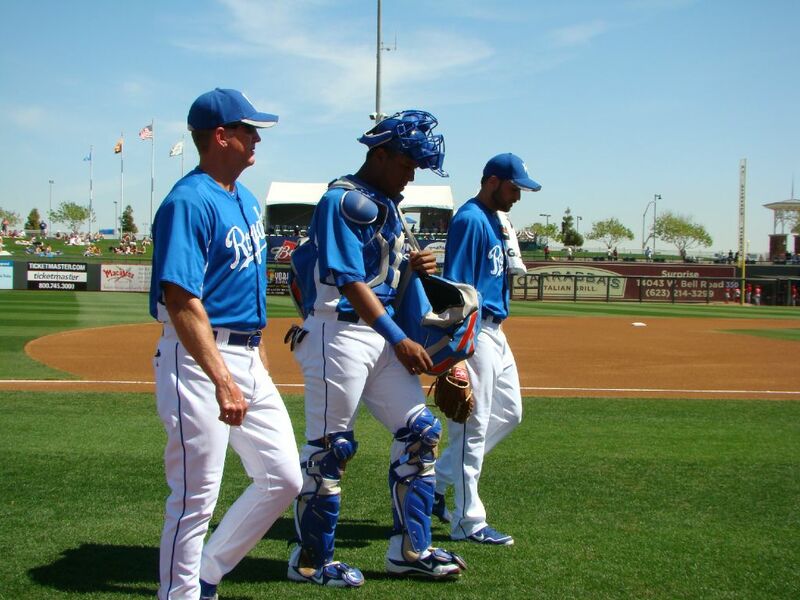 Roman Colon made his Royals debut way back in 2009. Since then, he’s played in Japan in 2010 and in the Dodgers system (2011). The righty reliever had a respectable 3.34 ERA in 29.2 innings this season for the Storm Chasers before being summoned to the big league level. For those Jeff Francoeur fans who came out on Frenchy Quarter Night, he apologizes. In the top of the 4th, Nyjer Morgan laid down a bunt that bounced up and hit Morgan while he was in fair territory. According to the rulebook, if a batted ball hits an offensive player in fair territory, the afforementioned player is out. But umpire Dan Iassogna, once again, didn’t it that way. Instead of calling Morgan out, he ruled it a foul ball – extending the at-bat. 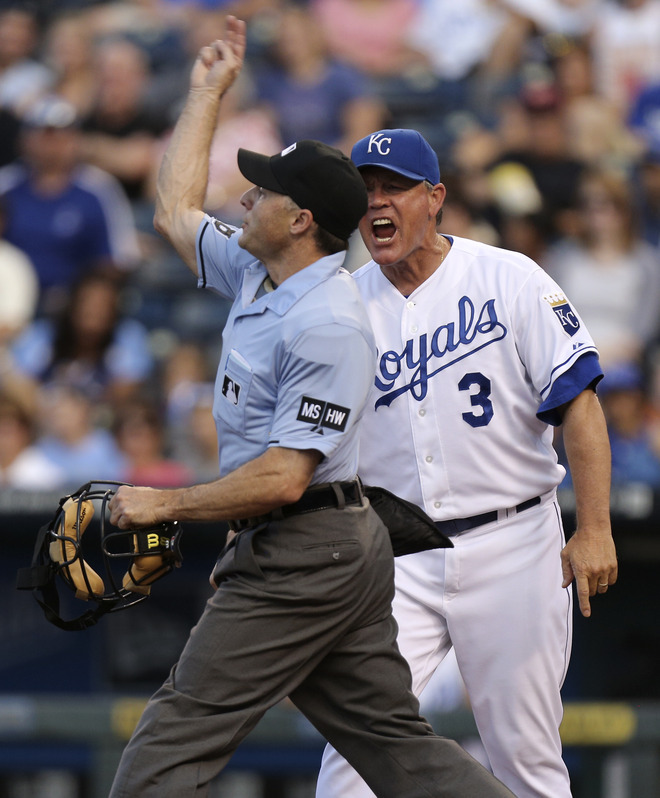 Yost came out fired up and was ejected because of it. In his first return to Kauffman Stadium, Royals fans welcomed former ace Zack Greinke back to a myriad of both cheers and boos. Greinke expected to hear a little bit of both due to the fact that he won his Cy Young award during his time in KC and also because of the way he basically forced his way out of the organization. The Royals got off to a quick start against Zack when Alex Gordon lead off the bottom of the 1st inning by smashing a 3-2 fastball into the fountains beyond the Pepsi Party Porch to give the Royals an early 1-0 lead. That was the only run Greinke gave up during seven innings, but was saddled with a no-decision when the Royals broke a 1-1 tie in the 8th on a Billy Butler RBI single. 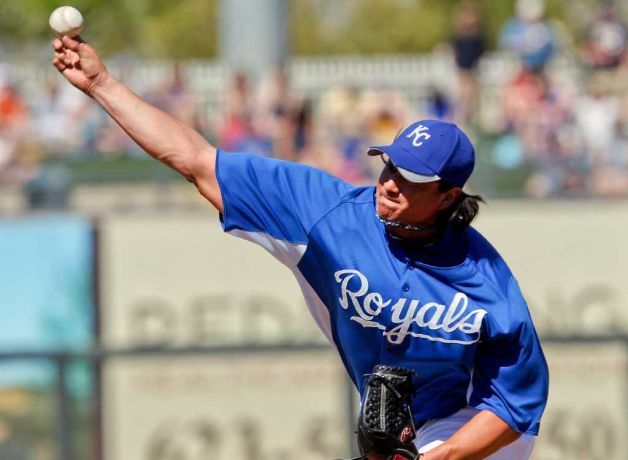 His counterpart on the mound was Royals starter/long-reliever/swing-man/mop-up guy Luis Mendoza. Mendoza one-upped Greinke by carrying a no-hitter into the 7th inning, where he gave up a leadoff single to Ryan Braun and a walk to Aramis Ramirez before Yost decided to go to the ‘pen. Milwaukee’s lone run came around to score in the inning, which was charged to Mendoza. The return of Salvador Perez is near, folks. He’s 13-for-35 with 7 RBI thus far during his rehab assigment in Omaha and he’s catching a full nine innings. Once Perez returns, the Royals have said they may carry three catchers in order to ease him back into playing everyday. Look for Sal to be back in Kansas City by the end of this month. 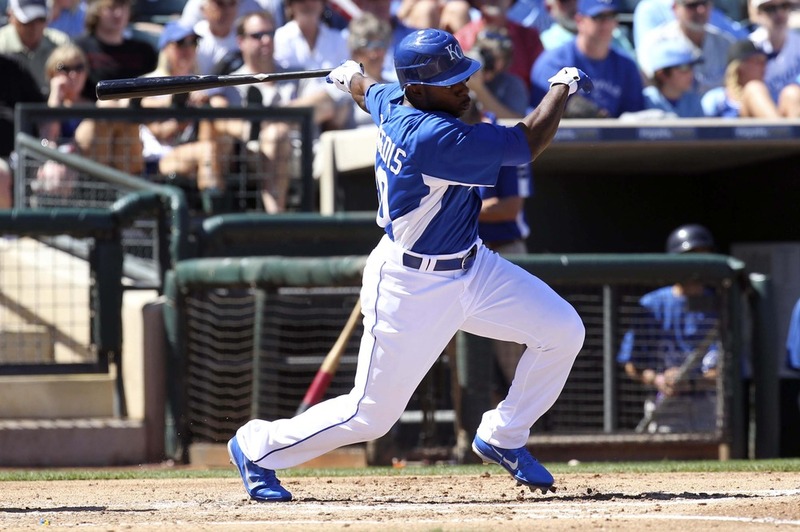 Meanwhile, CF Lorenzo Cain is off to Double-A Northwest Arkansas to begin a rehab assigment. Cain hasn’t played in a game since April 10th in Oakland when he injured his groin while running into the centerfield wall. Top prospect John Lamb is expected to resume pitching at the beginning of July. The lefty underwent Tommy John sugery last June. Apparently the Brewers weren’t aware of this Alex Gordon guy who roams around left field for the Royals. You know, the 2012 AL Gold Glover and outfield assists leader. That guy. 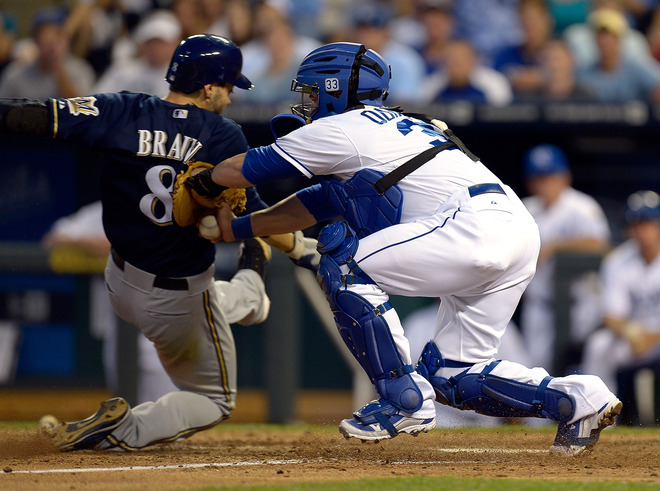 Ryan Braun, who has fairly good speed, decided to test Gordon’s arm Tuesday night on a medium-depth flyball. Not only did Alex make a perfect throw to home to record the out, the play wasn’t even close. Braun was out by four or five steps. Sam Selman, the Vanderbily lefty whom the Royals selected with their second pick in the 2012 Draft, has agreed to sign with the Royals to the tune of $750,000. The Royals have officially signed their first 11 picks of the draft and 28 of 40. The Royals (27-34) will travel across I-70 to St. Louis for a weekend series against the Cardinals (33-31). After that, the Royals will make their way to Houston for a three-game series against the Astros. 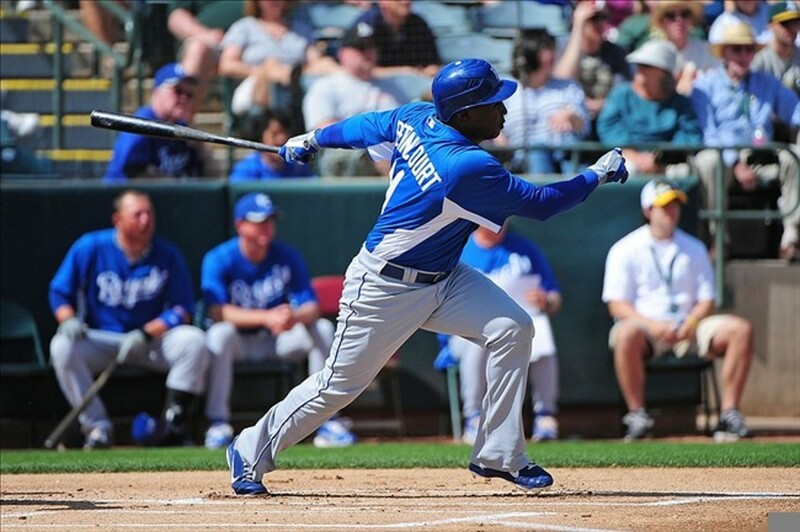 The Royals have officially set their 2012 Opening Day 25-man roster. And aside from maybe one or two guys, it’s pretty much what we all should have expected it to be. So they’ll break camp with 13 hitters and 12 pitchers. C’mon… Did you really expect Cody Clark to make the team? Quintero is a proven catch and throw guy, who will give the Royals solid defense when he’s behind the plate 3-4 days a week. The demotion of Johnny Giavotella (and thus the presence of Chris Getz) was the only real surprise here. Yuni and Getz will share the 2B/Utility role until Gio earns another look. Other than that, after the Yuni signing, you could have pegged everyone else from the get go. The addition of the speedy and versatile Bourgeois made light-hitting Jarrod Dyson expendable. Bourgeois mashed lefties in 2011 (.395 AVG), and spent significant time at all 3 OF positions, as well as a few games at 2B. He also can play at 3B if needed. 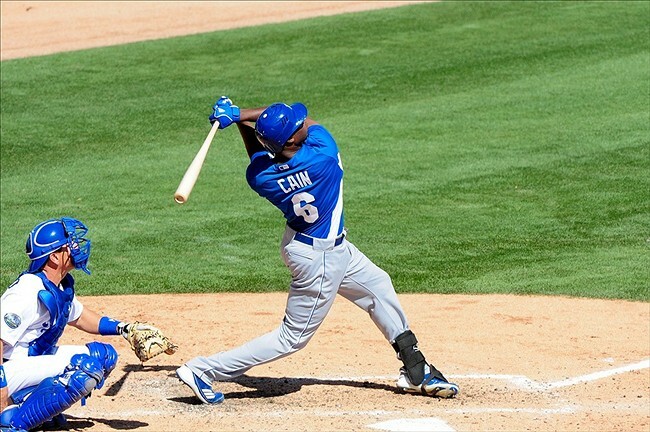 Lorenzo Cain has been off the charts this Spring, leading the league in what seems to be almost every offensive category. I don’t think we’ll see any loss of production from Melky to Zo in CF. Flip Paulino going to the DL really set up the rotation. If it weren’t for his injury, Duffy would have most likely been reassigned to Triple A.
Luis Mendoza has arguably been the best pitcher in baseball this Spring, essentially forcing the Royals to give him a spot in the rotation. Once again, Paulino’s injury helped someone else make the roster: Everett Teaford. By all accounts, Teaford earned his spot on the team, but without Paulino or Mendoza in the bullpen, Teaford becomes the long reliever / spot-starter. 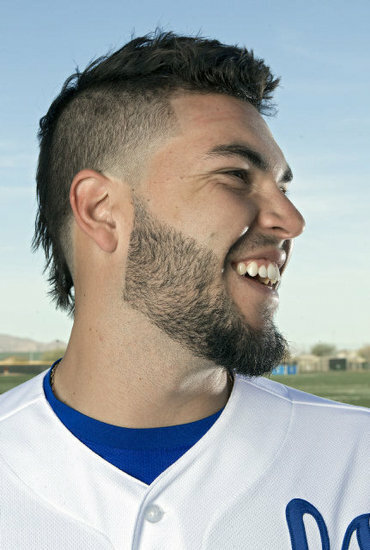 Kelvin Herrera was the true dark horse here. Louis Coleman had the job locked down until he allowed runs in 5 of his last 6 appearances, basically handing the job over to Herrera. Kelvin has been dominant so far, even earning himself 2 Saves this Spring. How disappointing… The loss of Sal Perez stings the most. Given the severity of his injury, he most likely won’t be able to return to the team until after the All-Star break. 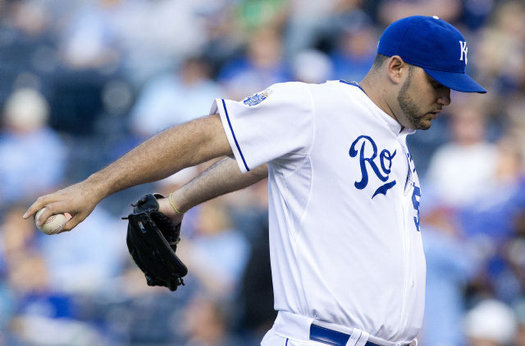 Losing Soria, although it may appear huge on the surface, doesn’t really affect the Royals as much as people may think. Yes, he is a proven performer, but he plays a position that is way overvalued. He got knocked around in ST, looking an awful lot like he did at the beginning of 2011. SOS is out of minor league options. So in order for the Royals to rid him for good, they’ll have to place him on waivers, meaning any other team can claim him for themselves. O’Sullivan will be the starter for tonight’s game against the White Sox, basically auditioning for any team who might think about claiming him. The Royals announced yesterday that they have made their first roster cuts of the Spring by sending 8 of their Spring Training invitees to Minor League camp, 2 to Triple A Omaha, and 1 to AA Northwest Arkansas. The 8 reassigned to Minor League camp are lefties Mike Montgomery, Will Smith, Chris Dwyer, and Brandon Sisk; right-hander Jake Odorizzi, catcher Julio Rodriguez, and outfielders Paulo Orlando and Wil Myers. Two pitchers, RHP Nate Adcock and LHP Ryan Verdugo were assigned to Omaha, while LHP Noel Arguelles was assigned to Northwest Arkansas. Monty did little to impress in his short time this Spring. In just 2.2 innings, he gave up 6 runs, 6 hits, and 3 BBs. 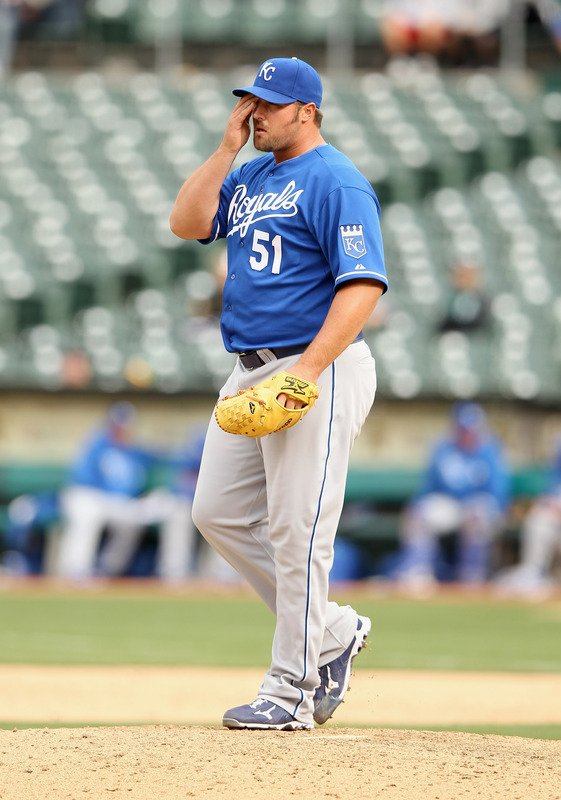 Mike came into camp hoping to force the Royals to give him one of the final two spots in the rotation. He’s still a top prospect, and he’ll get as much time as he needs in the minors to make adjustments to his delivery in order to make things right. Odorizzi only made two appearances, going 2 innings apiece. He struggled in his first outing, giving up 2 runs, before finding his rhythm in the second. Wil Myers did well, taking part in 9 games thus far. He put up a .313 AVG, but K’d 5 times while getting zero extra base hits. Brandon Sisk and Will Smith both left Big League camp with 0.00 ERA’s in 6 combined innings (Sisk-2, Smith-4). Neither had a shot at making the team out of ST, thus earning them their respective reassignments. These guys were all reassigned mostly because the Royals want them to get more playing time to keep their development on track. Sticking in Big League camp, getting a few innings/at-bats here and there wouldn’t really do much good for anyone at this point. The 11 players cut reduces the number of players in camp at 46. For those who were hoping for a quick recovery, your dreams have been dashed. After a successful procedure on his torn left-lateral meniscus this morning in KCK, the Royals have said that Salvador Perez will most likely be out for 14-16 weeks – meaning a possible mid-June return. The 12-14 weeks include both healing time and Minor League rehab assignments. With Brayan Pena being the only healthy catcher on the 40-man roster, the Royals are on the lookout for a possible veteran platoon partner, much like they did last season with Matt Treanor. With Perez out, I’m sure GMDM is looking for someone who could come in and garner instant trust from the pitching staff. So, of the available names, who could be better than a 14-time All-Star, 13-time Gold Glove award winner, former AL MVP? At 40, his numbers have declined as his age has risen. His bat is nowhere near where it used to be. But in 21 seasons, Pudge has a career slash line of .296/.334/.464. He’s still a tough at-bat and still has a solid-arm behind the plate, throwing out 52% of would-be base stealers in 37 games with Washington in 2011. The Royals are also said to be sifting through rather lackluster options, like career minor leaguers Craig Tatum, Corky Miller, and Wil Nieves, all of which are extra-light hitting, average defense catchers. In my mind, Pudge would be the perfect guy to come in and hold Sal’s place while he recovers. Then once Sal is ready to come back, keep Pudge around as a mentor for Perez for the rest of the season. 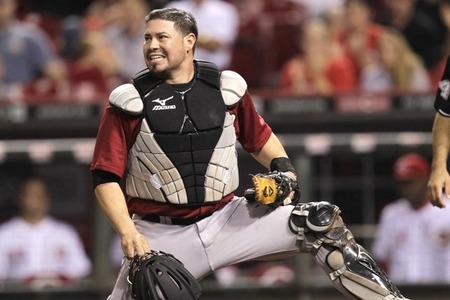 Afterall, if I were a young Latino catcher, who could be better to learn from then one of the best catchers of all-time? 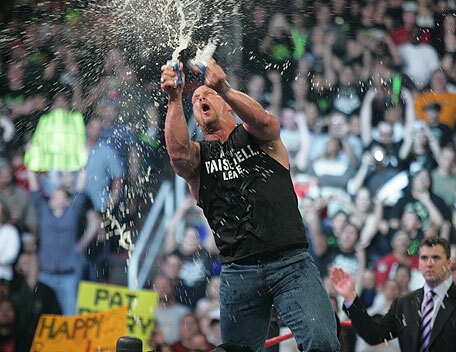 Now have a happy 3:16 day, ’cause Stone Cold said so!